Product prices and availability are accurate as of 2019-04-19 11:28:31 UTC and are subject to change. Any price and availability information displayed on http://www.amazon.com/ at the time of purchase will apply to the purchase of this product. 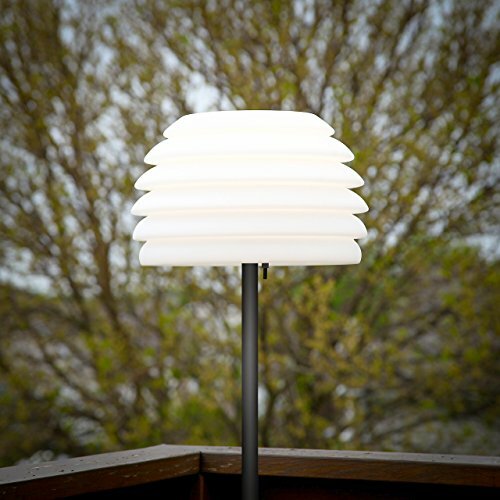 Light up your nights with the Aura LED Outdoor Lamp by Brightech. 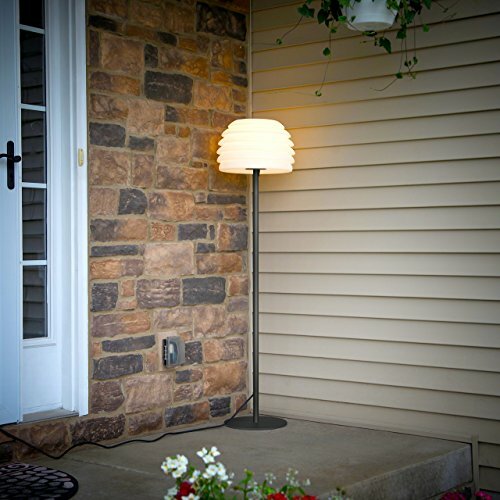 This simple yet elegant lamp can help make any outdoor area more beautiful and inviting. Great for porches and patios, and for hosting summer parties and barbeques! The lamp works perfectly with timers and wall switches for added convenience. If you connect it to a smart plug or smart outlet, you can also use Alexa or the Echo or any other smart home device to control it, which means you're not limited to placing it within easy reach; no more blundering about in the dark! The included 9.5 watt LED bulb saves you money and stress. 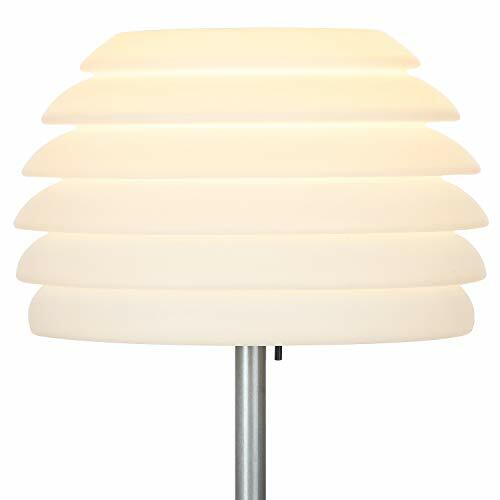 It uses far less energy than standard incandescent or fluorescent bulbs, and it doesn't overheat, even after hours of use. 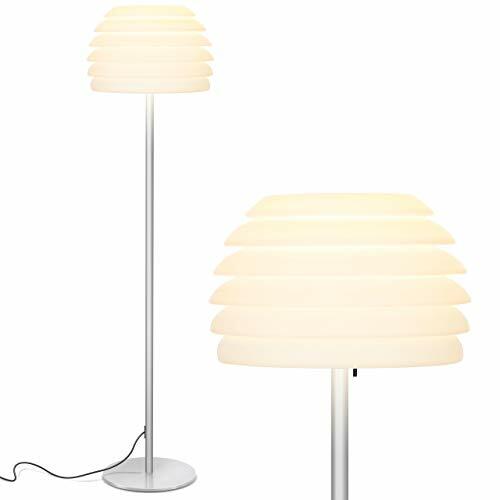 It pairs well with the sturdy plastic shade to provide a bright but still ambient glow to your space. 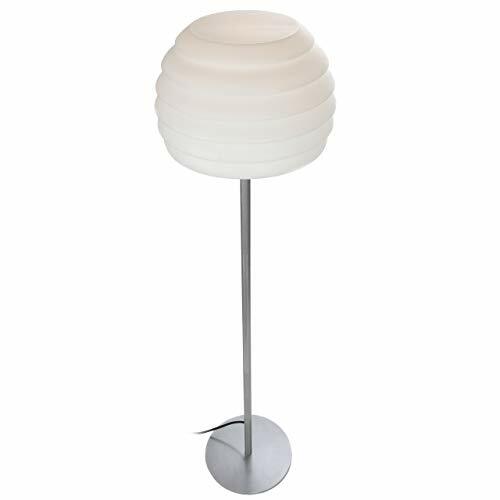 (Please NOTE, this lamp is not dimmable.) The Aura is easy to assemble, no additional tools needed to set up, and the heavy base was specifically designed to provide the proper stability and the provided stake can be used for additional anchoring if needed; you won't ever have to worry about this lamp tipping.